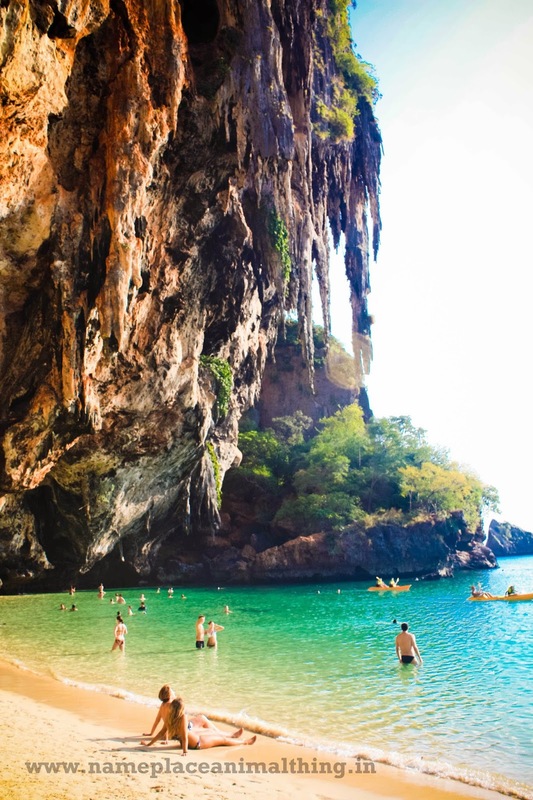 Railay is a small peninsula located between the city of Krabi and Ao Nang with a beautiful beach, named as Railay Beach. There are high limestone cliffs which block the access from mainland; hence one has to take a ferry to this location. 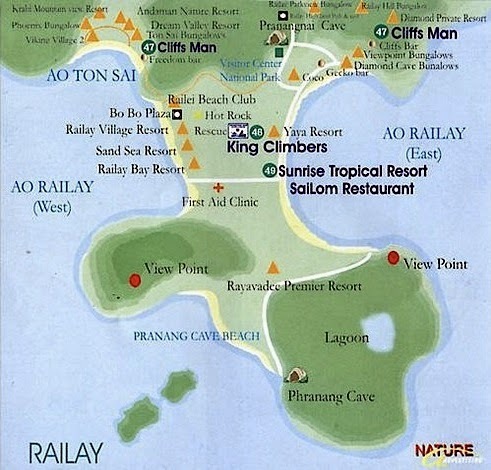 Railay is divided into East Railay, West Railay, Pranang and Tonsai. 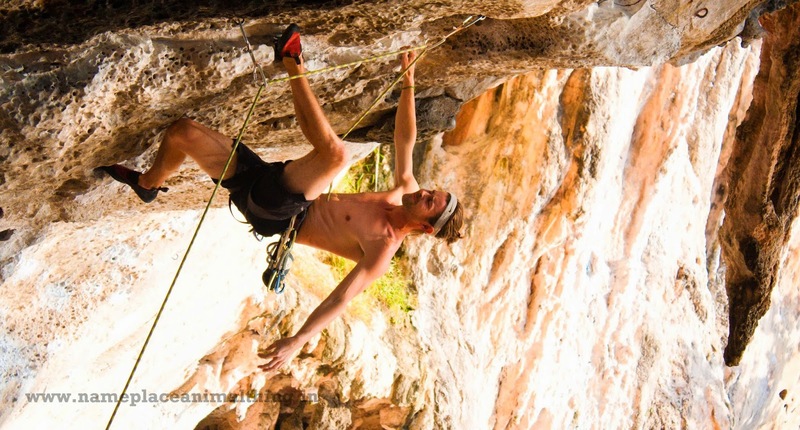 Tonsai section is the hub for climbers and attracts rock climbers from all over the world. Living in Ao Nang gives you the options to explore numerous beautiful locations in the vicinity and Railay Beach is a must visit! 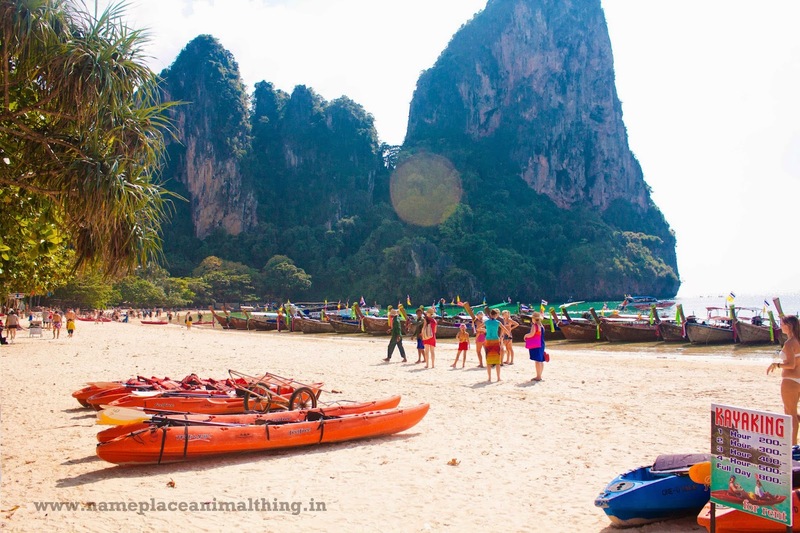 Apart from rock climbing, Railay Beach also offers you the option to hire a kayak on an hourly basis. There are various spots for snorkeling as well. There are also some good restaurants to eat and resorts to stay in Railay – from bungalows and medium-priced resorts in East Railay to a collection of five-star resorts focused on West Railay. 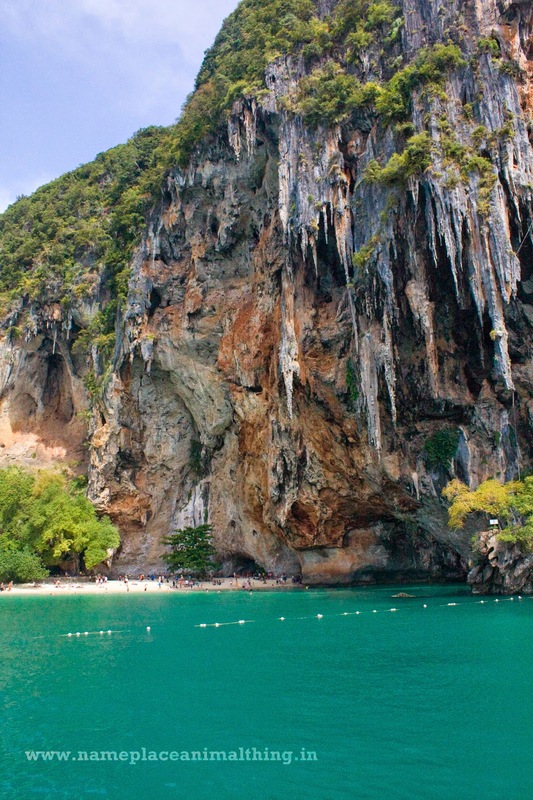 To reach Railay Beach, you can take a speedboat from Noppharat Thara beach which ply at an hourly frequency. They will charge you a mere THB 100 per head for the 20-30 minute journey one side. But the operators only take off when they have around 8-10 customers, hence it is advisable to plan the journey in the morning to avoid waiting for a group to be formed. Also for your return, do check the timing for the last speedboat beforehand. The speedboat drops you at West Railay, which has a short promenade with shops and restaurants. 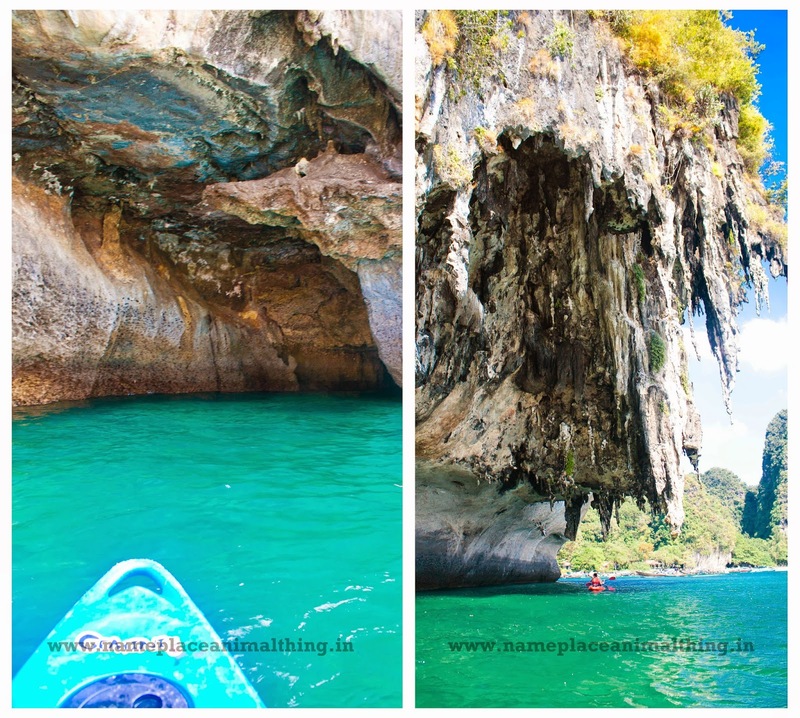 There are operators which can help you with Kayaking in West Railay and Rock climbing in East. 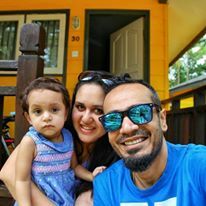 We did not have prior experience of Rock climbing and also were there for a short period, hence decided to indulge into the familiar territory – Kayaking. You can hire one for THB 200 per hour and explore the rock and coastline nearby. 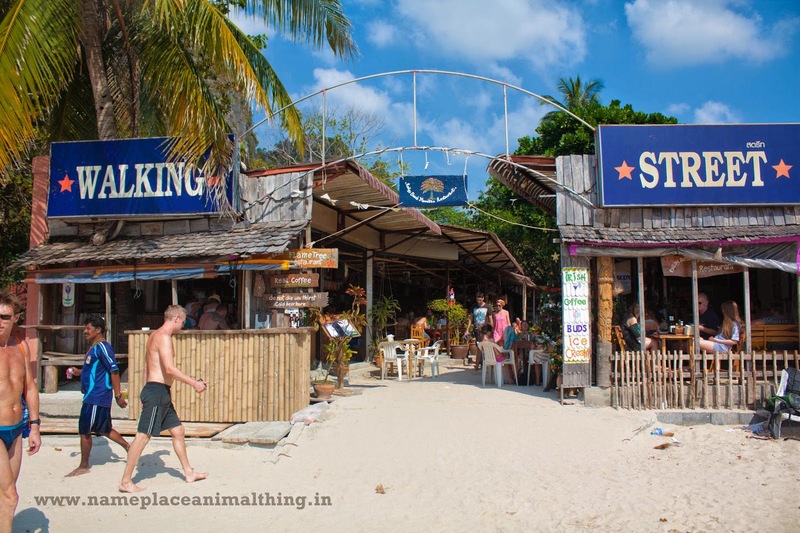 They will offer you a space at their shop to keep your belongings, but it is advisable if you have your own water bag which you can carry along during Kayaking. West Railay is quite crowded because it is also the point where ferries plying from Phuket to Ao Nang and the island tours stop by. If you want a quitter place, then you must head to Pranang. There is walking path from Railay Bay Resort which leads you towards east. 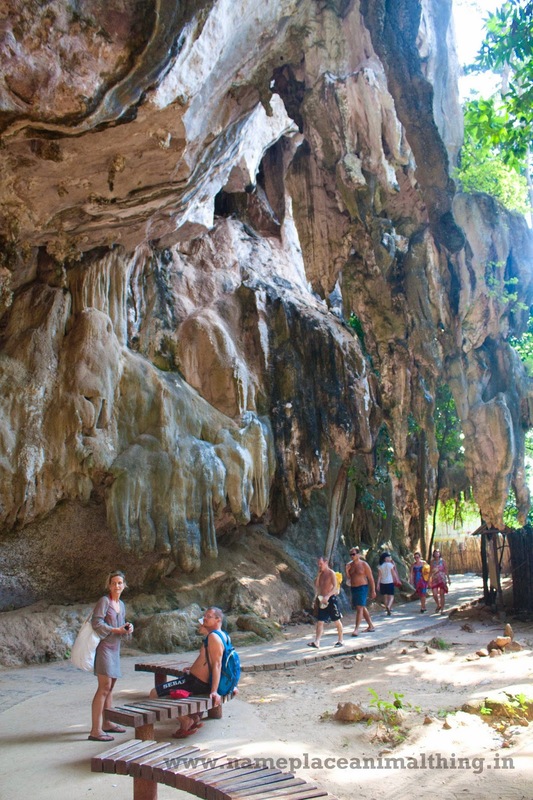 From there you can walk along Rajavadee resort to reach Pranang caves and beach. It is an approximately 20 mins walk. The sea bed on the beach has a steep decline. Within a few meters you will actually feel like swimming in nearly open water. If your returning back in the evening, owing to low tide your speedboat might have to half much before hitting the Noppharat Thara Beach. If you have around 4-5 hours during the day, you must plan this visit to Railay and probably after the swim and kayaking, your body will enjoy the massage back in Ao Nang before retiring for the day. I have been to Thailand on a packed trip there I couldn’t visit Railay beach. Also, when I visited it was pouring all the time. Happy to see sunny beach pictures in your post!